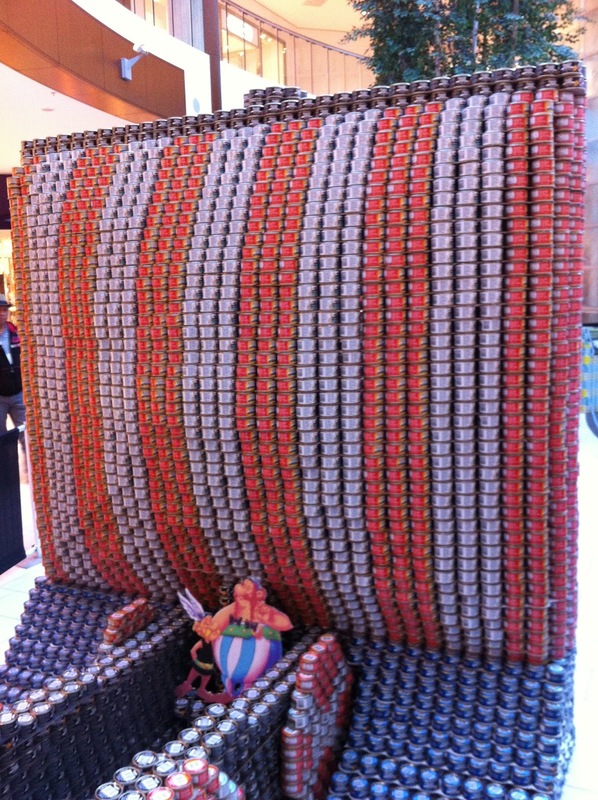 Great CANstruction photos! We loved the hot air balloon! I would love to watch them building these things. It must take a steady hand and careful planning. No doubt there is an app to assist in planning. 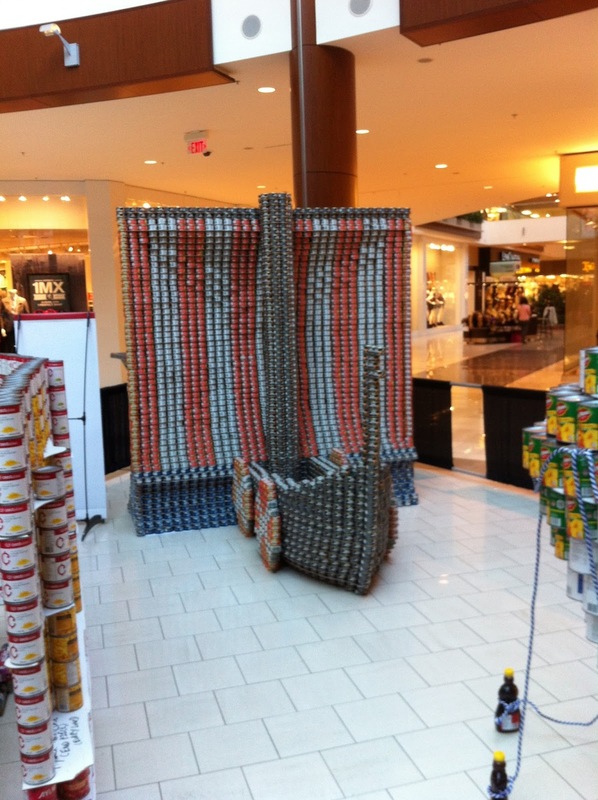 Cool CANstruction! That would have been neat to see. And yay for spring storms, eh? We might be getting one on Wednesday :( March in Canada - 'nuff said! 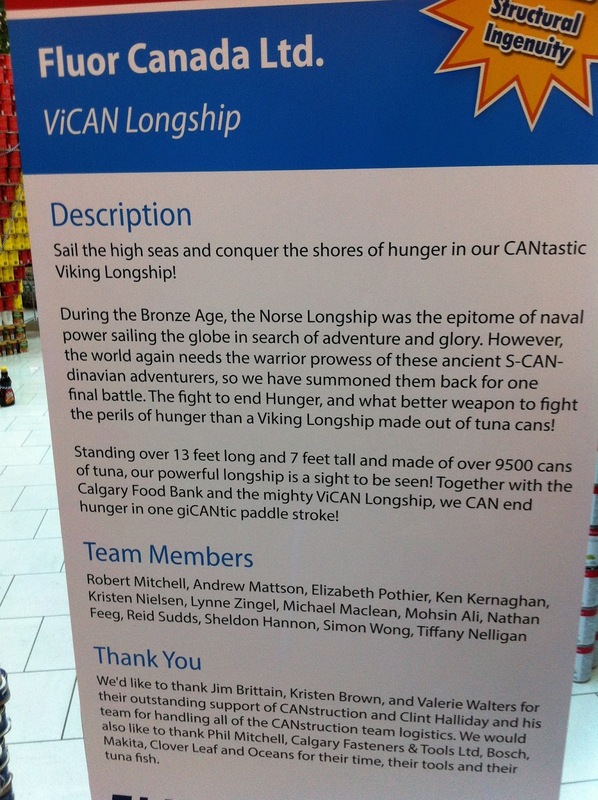 The other ones were good too, but for obscure reasons, the viking ship was the one I liked most. There were several balloons, the Hogwards express with very clever background, a cargo ship, the Bow building complete with representational +15, the Peace bridge, and a few others that don't come to mind at the moment. 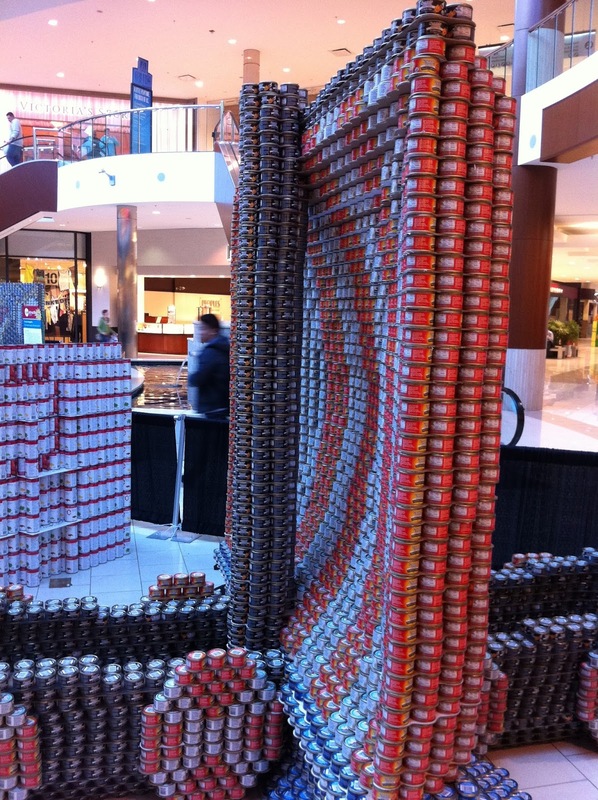 CANstruction made me hungry. Must be the marathon training? Tomorrow I will take on yet another Half in what I am calling the "Snow Series". I simply had no idea there were so many awful varieties of snow. 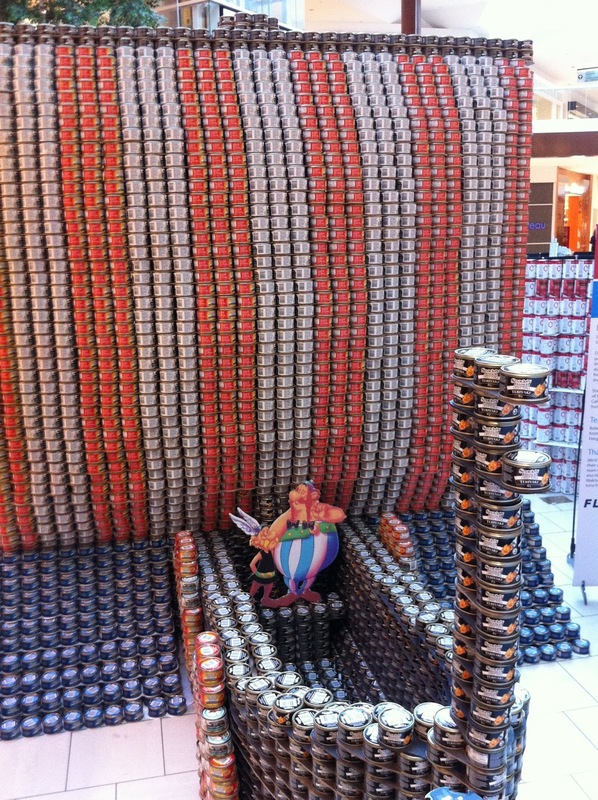 All those cans of tuna. I used to really like it, but can't remember the last time I had some. Prefer fresh. It seems the snow varieties are getting worse somehow. I don't know if that's climate change or what. Lots of days now I wish I'd spent the money to install one of those driveways that melt the snow automatically. Have fun with the marathon, looking forward to reading about it.